For all Santa Clara fire sprinkler services, including fire sprinkler installation, contact AAA Fire Protection Services at (800) 543-5556. We bring over 40 years of experience to the table. We help businesses every day, that are just like yours to reduce the threat of fire and to help control fire and the damages the fire causes when it does occur. We are a local family-owned business that serves Santa Clara and the entire South Bay Area. We are a professional company that works seamlessly with secondary design teams such as your architect or your contractor. We help design and install sprinkler systems that help your business remain compliant. Our comprehensive fire sprinkler services include fire sprinklers inspections and fire sprinkler repairs. 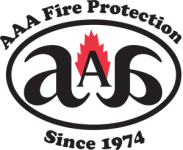 Our goal is always that your fire suppression system is 100% compliant and ready to protect your business. If you like more information about our services or working with our team, our industry experts are available to answer your questions or provide you with a business specific quote. We work with businesses of all sizes and across all industries.